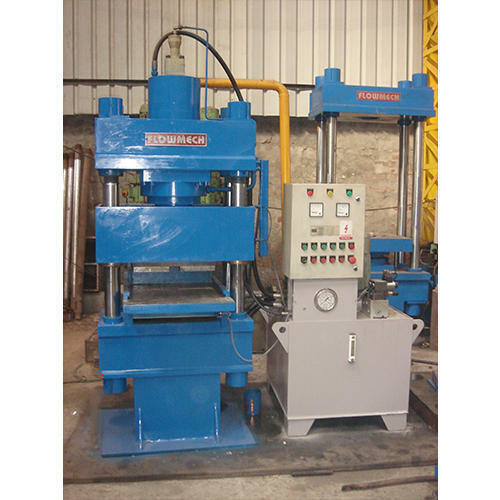 Hydraulic Powder Compacting Press is ideally suited for powder compaction applications. Flowmech Powder Compacting Press is capable of forming complex shape moulded parts with uniform density throughout a varying cross section and can handle different range of powder materials. In these presses, powder is pushed into cavaty and the compound into the shape of the product. Powder Compacting Press is used in various industries viz. tabled making, brake lining etc.